We all dreamed to have a peaceful and quiet place to live in. A place where we can say this is perfect for my dream house. This may be a kind of house that can offer comfort and relaxing areas. This may possibly happen when we usually build our house near the ocean where we can take full advantage of the oceanic views. The calmness and fresh sea water can help us free from worries and can relax as well. 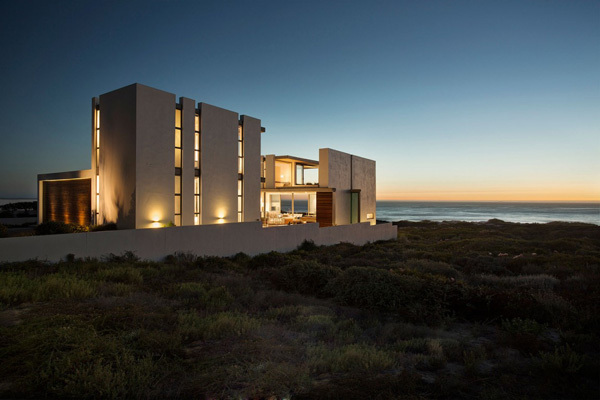 That is why we are presenting to you a house where the client may take the full advantage of the rich ocean. 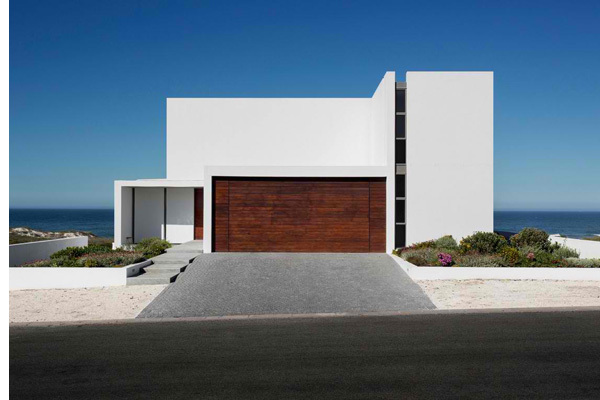 This house is named as Pearl Bay Residence situated in the north of Cape Town, South Africa. From its name itself we can observe a house near the bay, a contemporary home which is specifically located on 90kms, surrounded by the rich nature which is attached to the ocean. Even if the client has a limited budget but still the designer made use of it. This house building has a rectangular double storey structure of 600 square feet which includes three bedrooms, four bathrooms, generous living and dining areas. Also it has a gallery, casual living room, a study, decks and balconies. 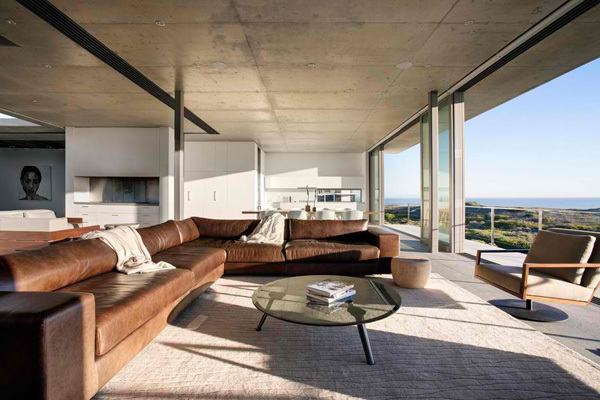 The oceanic views are freely viewed in every corners and rooms of the house. Let us see more of the images of this house below. We may carefully see how the designer creatively planned the design of this house. Even at the entrance, the wooden and concrete elements stand out among the other elements used here. 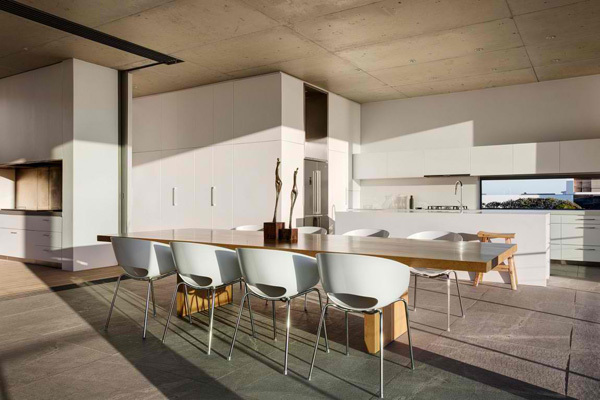 The client also considers sustainability as you can see the natural light accessed the interior at daytime. 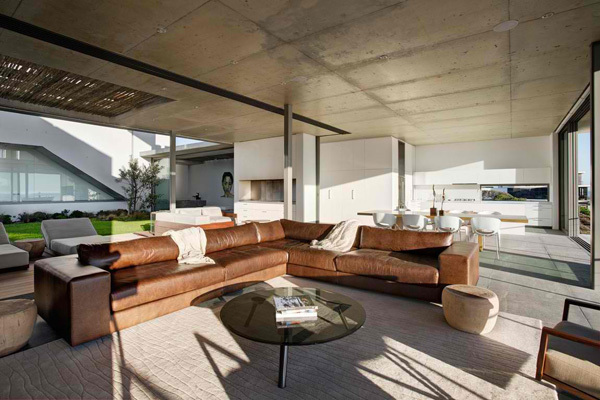 Expensive and sophisticated furniture are assigned on its designated places in this interior. This charcoal painting of a man truly adds life and art in this wall. Trendy and classy chairs are perfectly arranged in this dining table with the sculpture in the center of it. 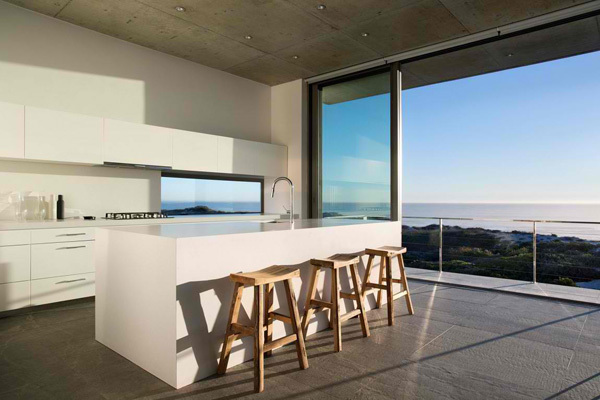 The amazing and relaxing view of this beautiful ocean can be seen from this modern kitchen. 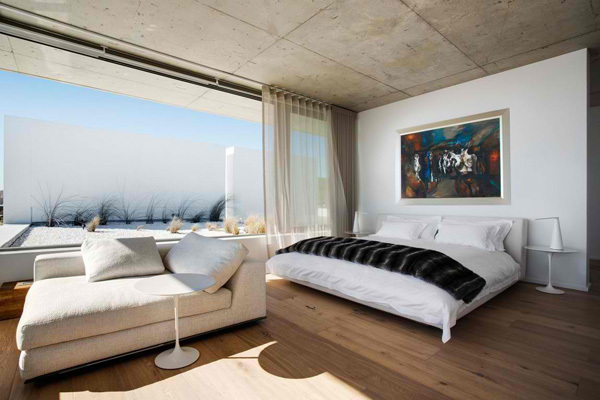 The sliding glassed door in this bedroom only proves that the client may experience fresh air. In this area, the client may still see the fabulous and exceptional garden. 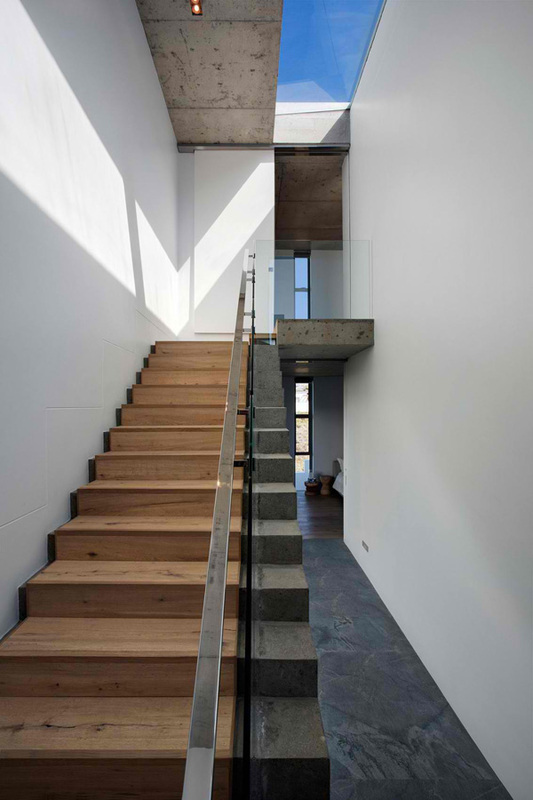 This glass framed wooden stairs may allow the client to explore the different areas of the second level of the house. The client may certainly prefer to sit down in this area to feel the warmth of the sun and the witness the different artistic crafts set here. The sunlight sustains natural light in this clean and stunning bathroom. 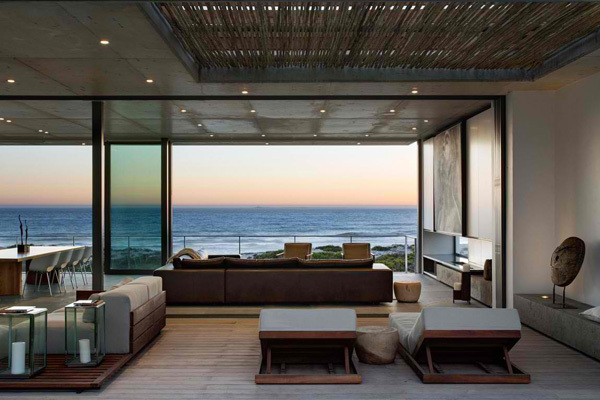 Sitting in this patio, the client may enjoy the serenity and tranquility of the water in the sea. 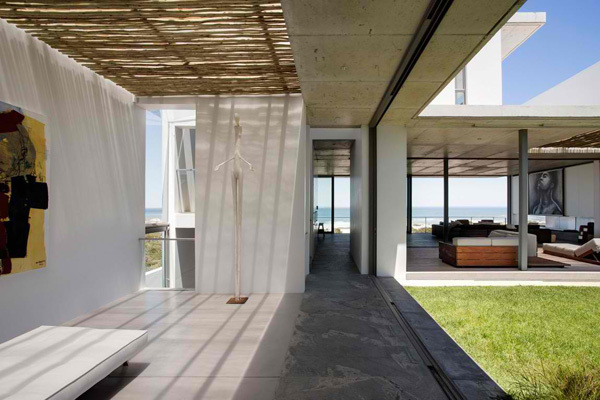 Incredible lines and figures may be perceived in every part of this house. The significant functions of the lights are witnessed in this unique building of the house at night. 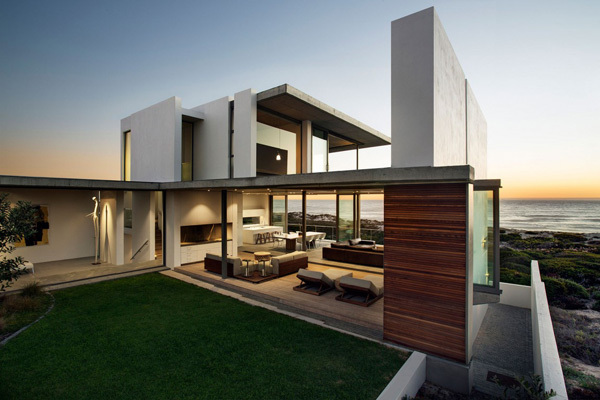 The above images speak how the designer enjoys the oceanic views connected to the house design. 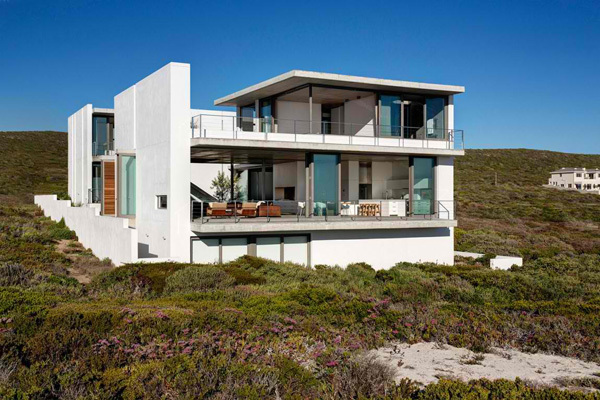 The elegant house design plus the breath-taking views in the ocean can be considered as a total package which can effectively offer a very comfortable interior and exterior. 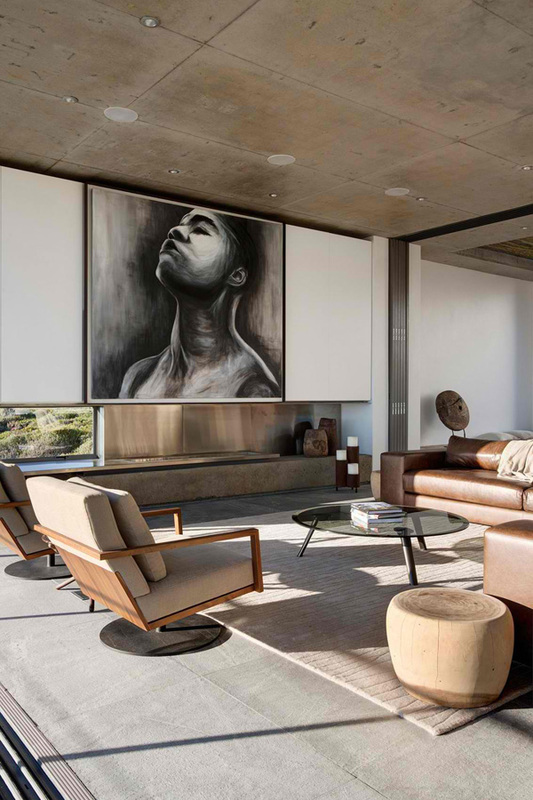 The designer’s choice of accessories as well as the furniture jives effectively which made this realize a very comfortable and luxurious home. The Gavin Maddock Design Studio truly utilizes its talent and knowledge in making the clients demands possible.